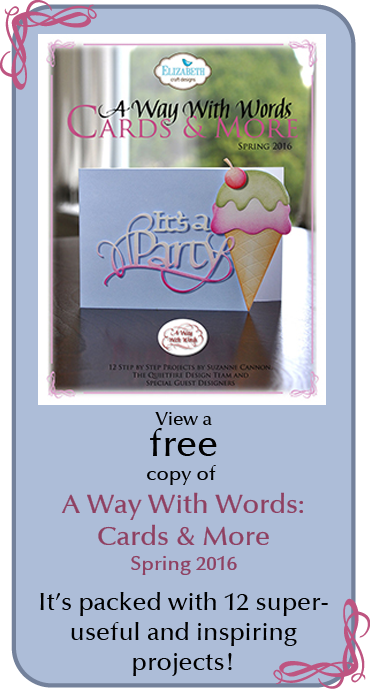 Today I'm sharing a project for the Elizabeth Craft Designs Group Challenge. The theme is spring and flowers! Spring has arrived with a blaze of sunlight this week - but it's been unseasonably cold here on the west coast, so I pulled out the spring colours and had some fun. Form a 6 x 6" tent fold card base from white cardstock. Die cut the Rosebud Wreath and backing pieces as well as Welcome and Spring from white cardstock. Blend Worn Lipstick and Wild Honey on the small flower backing pieces and adhere to back of wreath. Mount wreath on card base with clear foam adhesive as shown. Blend Bundled Sage on the Spring diecut leaving more colour at the top of the word. 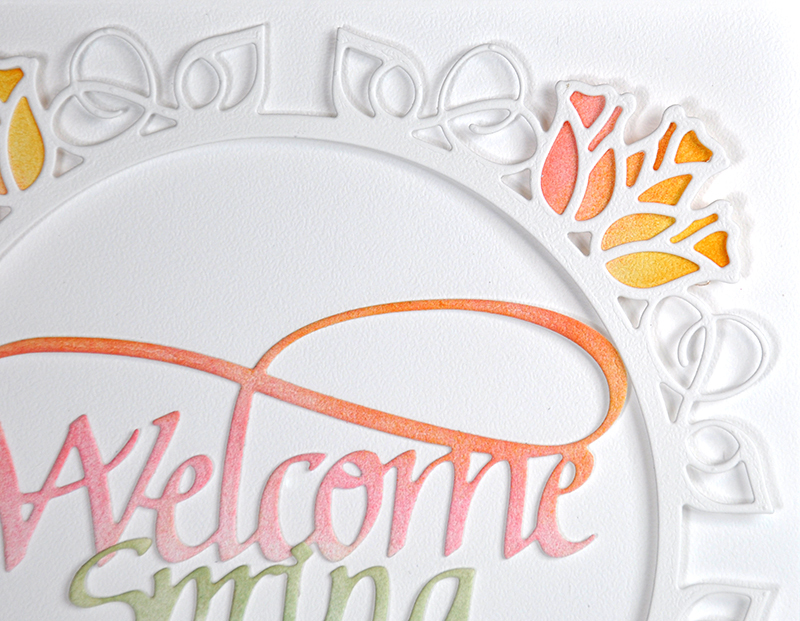 Blend Worn Lipstick and Wild Honey on the Welcome diecut leaving more colour at the top of the word. Adhere Welcome and Spring to the inside of the wreath using Glue Dots. Designer Tip: Slightly roll the Glue Dots if they are too large. Thanks for visiting! Please feel free to ask any questions. Happy spring!